Following is an excerpt of the NAFA Foundation’s newest paper. To download a free copy of the full paper, please visit this link. Driven by increasing demands from executive management to control costs, over the past decade procurement professionals have assumed a position of increasing influence over automotive fleet management. This ranges from simply being granted a more assertive role in selecting vehicles and suppliers, to the absorption of fleet into the procurement domain. Faced with entirely new paradigms for fleet management, it’s vital that all players with significant roles in running the fleets of tomorrow — both those whose background is in fleet and those who come from the world of procurement — form a strategic partnership based on expanded knowledge of each other’s discipline. It has been said that fleet and procurement speak different “languages.” What this really refers to are the different metrics by which their performance is measured. Organizations in which fleet and procurement have reached a measure of consensus embrace both sets of standards, resolving the dynamics that sometimes pull in divergent directions to achieve optimal results for the business as a whole. Industry professionals who have occupied roles in both procurement and fleet operations, as well as client relations executives in two major fleet management companies, agree that deep knowledge of both disciplines is necessary for top results. For Hayward, it’s a matter of finding the right balance between what fleet drivers and managers want and what they really need. “Sometimes, drivers want a more expensive vehicle when a cheaper one will do the job. On the other hand, drivers need to have the right vehicle to do their job, and it might not always be the least costly. Sometimes you should opt to pay more for a vehicle that gets better fuel economy, is safer, has a greater residual value, is cheaper to repair or creates the right image. Fleet management is an evolving discipline, but its core is comprised of eight dimensions. Fleet operations professionals need to master each of these in order to deliver the strategic results demanded of them by senior management. The paper covers these in detail. 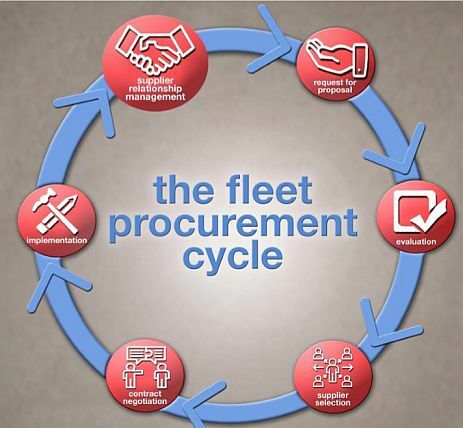 An ideal partnership between procurement and fleet requires knowledge of and sensitivity to the demands and goals of each discipline. Fleet and procurement need to understand that both sets of metrics and standards of their fields are necessary to achieve the long-term goals of their organization. In addition, optimal fleet functionality can only be achieved if the needs and objectives of all fleet stakeholders are taken into consideration — these include senior and field management, drivers, human resources, occupational health and safety and the legal department. Open communication must be continual, and it’s the responsibility of those directly charged with managing fleet to assemble teams of representatives from these departments to evaluate the fleet program on a regular basis. This paper provides additional guidance on this crucial area. Senior management typically expects those responsible for fleet to make recommendations on improving fuel efficiency, the rush toward all-electric and autonomous vehicles, reducing carbon emissions, and more. Without a firm grasp of these issues’ effects on the future, neither fleet, nor procurement professionals, will be able to come up with all the right answers. The NAFA Foundation, a not-for-profit charitable organization formed in 1976 to promote, encourage, support, and assist the fleet industry, drives the advancement of the profession through the promotion and encouragement of education and research projects. 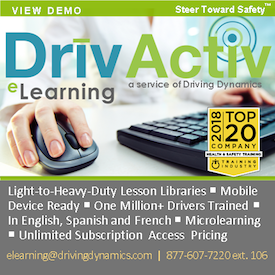 It also makes grants and gifts to aid in and support persons, institutions, and organizations in the development, maintenance, and expansion of educational programs related to the management of motor vehicle fleets. To support the NAFA Foundation, visit here. Your gift is tax-deductible.